Echo Nine Three just release a teaser for their new AK grip and its a looker. Inspired by the grip of the SVDS rifle and many of the modern grips for M4 type rifles. 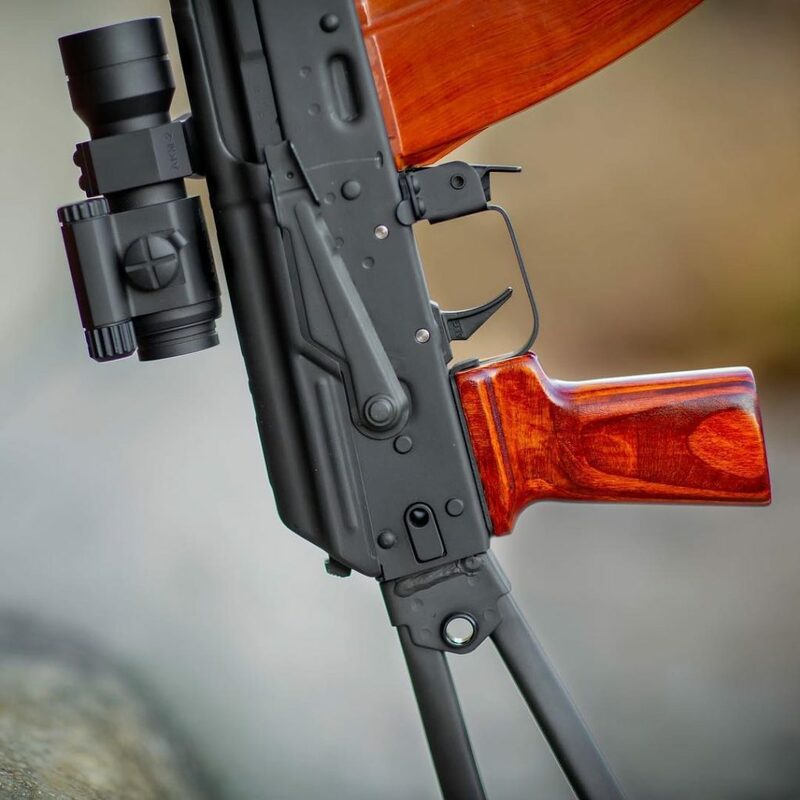 We set out to bring the same modern handling attributes to the Kalashnikov platform. Provisionally named the “Eighty Five”. This grip provides an 85 degree grip angle to the line of bore when installed on the rifle. Standard AK grips are typically at 70 degrees. These are US made of superior quality Baltic Marine Birch laminate and will be available in Soviet Red, Chicom Orange or unfinished. They install with a standard AK grip screw (not included). We anticipate availability in the second quarter of this year. To be placed on the availability notification list, please email us at info@echo93.com. Also, let us know if you prefer finished laminate, unfinished laminate, finished hardwood or unfinished hardwood.